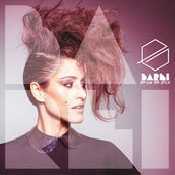 Video Barei - Who Plays the Drums? You can seem to feel much better. And baby you can stamp all alone. That would make you braver. Sorry just set your site. Who is bringing that groove? Who is lighting the moon? Who is making me move? Hey you spare long time. I'm ready for the light. Ampliar Canción Who Plays the Drums? de Barei .